Excellent location. 5 Minutes to Grocery Shopping, Eastside Restaurants, East Towne Mall. 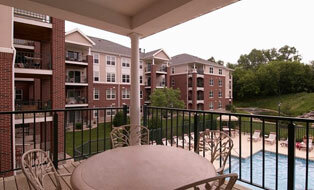 Gateway Terrace is perfect for you! We are located within five minutes of the world headquarters of two major insurance companies, General Casualty and American Family. The location of Deer Creek is fabulous! It’s close to some of the best shopping and restaurants in the area, and easy access to the Beltline. My husband loves using the clubhouse to have soccer team meetings or to go and work out. My daughter loves going to the pool. I also love the little things that the Deer Creek staff does for us: getting the complimentary Sunday paper, leaving little goodies at our door on special occasions, and they always seem to think about the kids and try to do special things for them.